Additionally you were guaranteed to be able to buy one large jar of jam every two months (£1.50 every two months), 12 oz of sweets every month (£1.50) and were allocated 16 points every month to purchase other foods in shops if they were available (only rationed food was guaranteed). £39.00 ( about $52 USD) for one month. This unbelievably works out at less than £1.30 per day per person for breakfast, dinner, lunch and extra fruit. What do you spend? Is it more or less than this? Please share! So I got up this morning and didn’t eat chocolate. 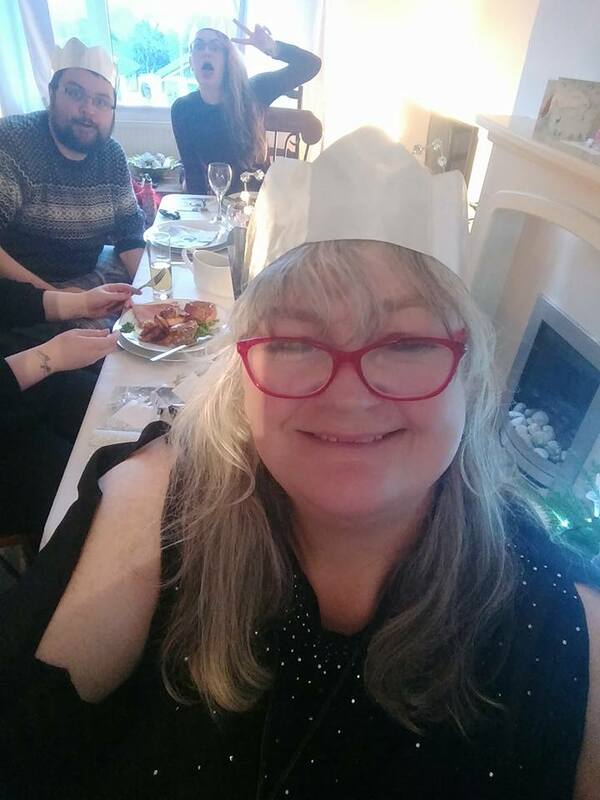 Instead I had two slices of toast, went and picked up some new pairs of spectacles I had ordered ( using Paycare at work – it pays for my specs! 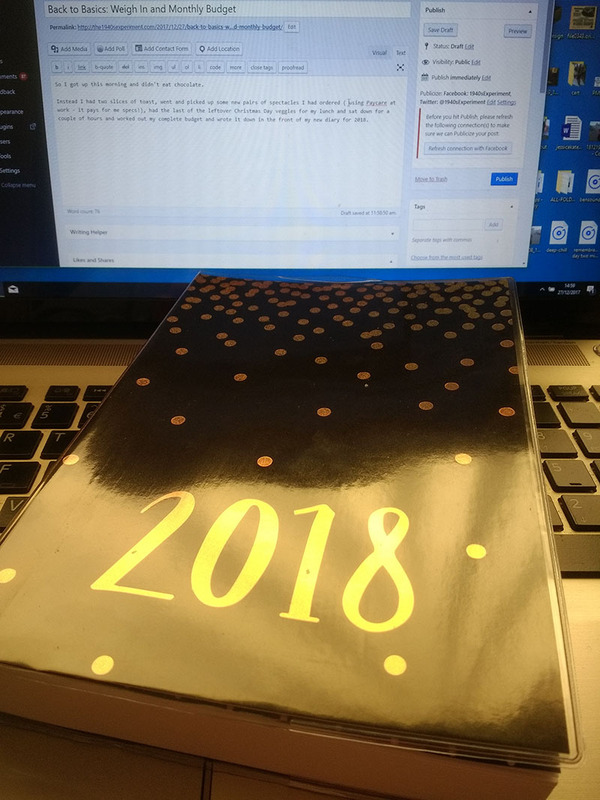 ), had the last of the leftover Christmas Day veggies for my lunch and sat down for a couple of hours and worked out my complete budget and wrote it down in the front of my new diary for 2018. 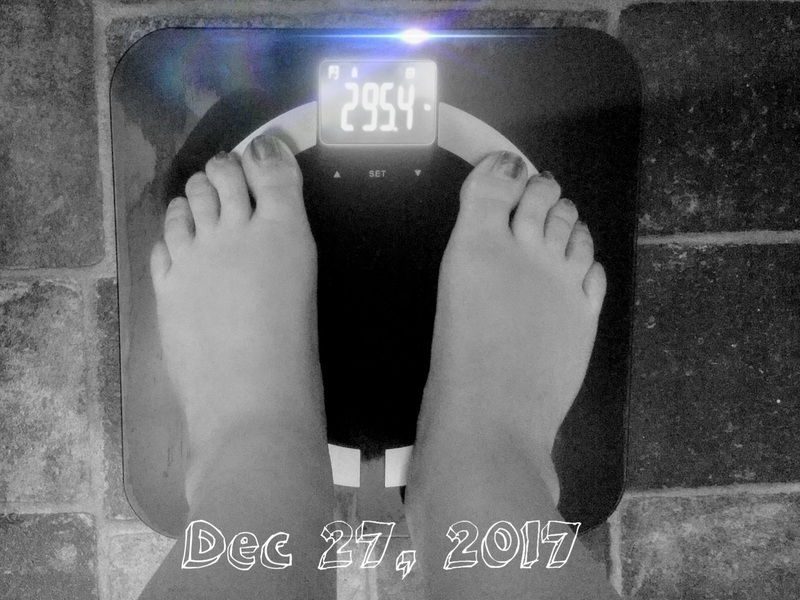 But the very first thing I did this morning was faced the music and jumped on the bathroom scales (which I have avoided for weeks) and got the first weigh-in over and done with. Yep- it was pretty much what I expected. It could have been worse, I could have tipped 300 lbs. It was 295.4 lbs (21 st 1.5 lb)…. and I have nothing to say about that right now. As I mentioned in my last post I’ve made some drastic changes this summer to help me get away from living on the financial edge. It took me a few months to bounce back after the expense of moving but once I had it was time to make some changes in my life to ensure that in the future I have an emergency fund and some savings in place. As a single person with no back up from a partner, being one pay check away from being broke is no fun and it’s a very stressful feeling. One of the best things I did at the beginning of the year was implement a ‘Christmas Savings Club’ at work using TransaveUK (a local credit union who provides funding for share loans through my work). How the Christmas Club works is that you decide how much of your wages you want to set aside for 10 months and at the end of the 10 months the money is deposited straight into your bank account at the end of November. The money, every month, comes straight from your salary and deposited into your own online account via your workplace and once I’d got the first month or two over and done with I found I didn’t miss the money at all. 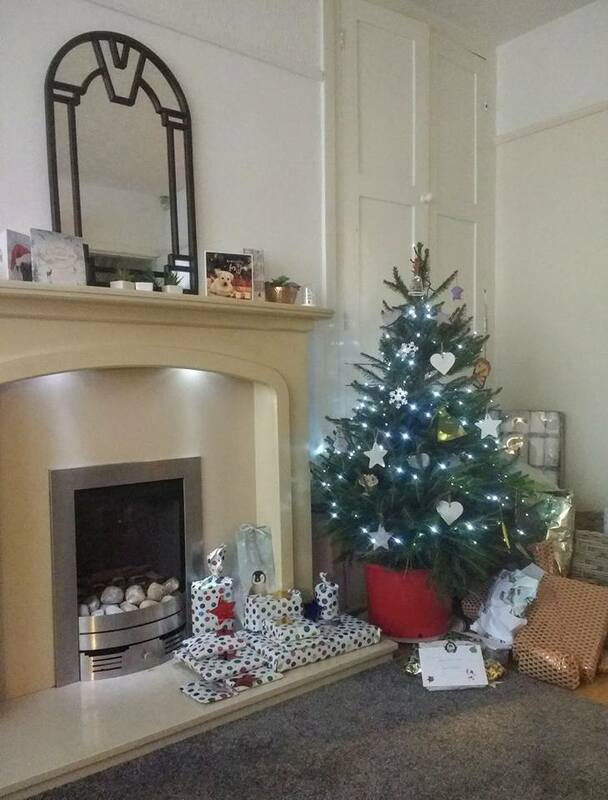 It was lovely getting an £850 pay out just before Christmas… enough to buy presents for my three grown children, both sets of grandparents, all the Christmas food and drinks, and still have enough left over for everyone’s birthdays this year! Implementing those two changes this year has set me up well for forging ahead and achieving some financial safety in 2018. This is one of the most important things to me right now and if that means I have to work extra hard and not go on holiday or eat out every month or go to coffee shops, then so be it! I’m not going to look at it as a hardship, these are just necessary actions to achieve a goal! a) Build up an emergency fund so if suddenly I was without work or had an accident then at least I could get by financially and pay my bills/rent for at least 3 months. b) Once again save with the TransaveUk Christmas Club at work so Christmas and birthday expenses are all taken care of and December is no loner a financial burden. c) Set aside £100 a month for car repairs. My car is now 18 years old and it’s MOT is due in February. I really hope she’ll get through one more time but if she does it won’t be without some expense. Saving £100 a month should cover these expenses and start to build a fund towards buying another car eventually. 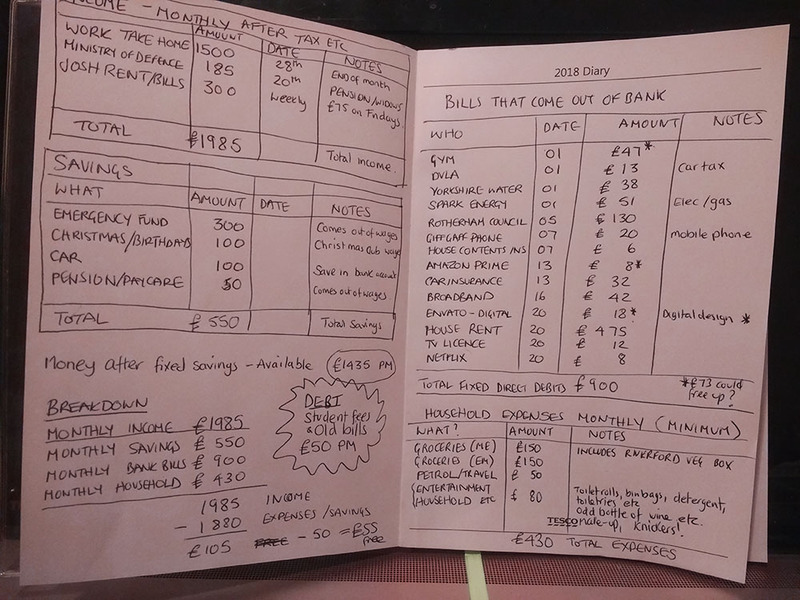 So today I went through my bank statements and worked out my incomings, outgoings, household expenses etc. I also noticed a few expenses that I could cancel in January which are nice to have but actually I could get by quite happily without them for a few months and see how things go (highlighted in yellow). I don’t want to live a life where I don’t enjoy the odd night out of the odd treat but am quite happy to make some sacrifices to get to where I want to be at the end of the year. I’ll feel so much safer…. UPDATE – I forgot the debt!!!! I forgot about the student fees for courses I am still paying off! That’s an extra £50 expense a month. Have updated the diary. I think I got it right now!!!! Back to Basics: A Life Reset, A Life with Less Crap. Don’t get me wrong. I LOVE so many aspects of living a modern life, we are mostly all VERY lucky and despite my fascination with yesteryear I’m happy and excited to be living in 2018. HOWEVER, the more I study the past and compare it to the future, there are areas in our modern lives that perhaps are suffering because of ease of accessibility a plethora of convenience food and goddamm it, advertising and portrayal through the media telling us what makes us normal and happy (I’m talking health and finance here). 1) Cure my obesity and become more active and stronger. 2) Save money every single month and create a safety net, an emergency fund of 3-6 months income by only buying essentials. What’s non-conformist about this? Well they’ll be NO modern latest diet guru ‘must-do’ suggestions such as Low Carb, Paleo, Ketogenic, High Protein, Super-Foods, Juicing, Fasting etc. I’m sure all of these have aspects that are useful and do work but I’d rather just eat lots of fresh veggies, enjoy some wholefoods carbs, get my protein from old-fashioned pulses and beans and eat my fruit and greens. As for saving money… They’ll be no get rich quick schemes but rather following the example of our parents/grandparents and buy less crap, mend and make do, only buy things that you have saved up for, no credit and always put some money away and save for a rainy day. I feel many young people especially, in this day and age are so pressurized into living up to what is portrayed in the media as ‘normal’ they really struggle financially (and yet I’ve met many young people who absolutely put me to shame and have really got their lives together!!!!). The two things for me that I’ve always struggled with are my obesity and finances (I’m single, one full time income and my past has included some very tough times). I’m NOT the sort of person that wastes money, expensive things simply don’t impress me (except maybe a fancy Kitchen Aid food mixer!!!). That’s not to say I wouldn’t love a beautiful little cottage in the countryside or a newer car one day but generally, on a day to day basis I am very happy with simplicity and frugality. But the latter part of 2017 I made some major changes in my life to make things a little easier financially. I moved just two miles from my workplace (which has saved about 85 miles, 2.5 hours and £12 a day in commuting time and costs) and the place I rented out, while being a bit rough around the edges, has saved me £125 in rent every month too! All in all, I’m about £350 better off per month and if nothing breaks down, if no big unexpected bills come in or my car breaks down, I can try and save most of this! 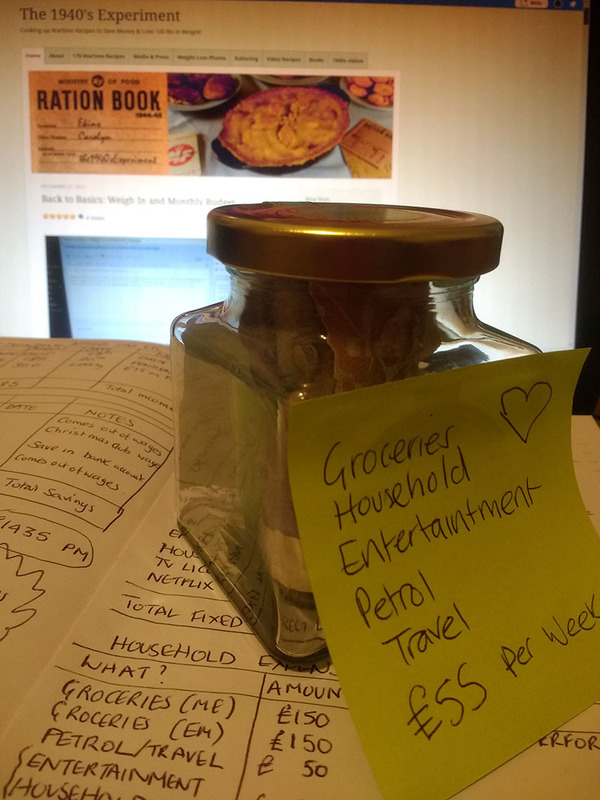 For the first time in my life, IF I make sacrifices and remain frugal, I can theoretically save money and I’ve started to put this into practice. 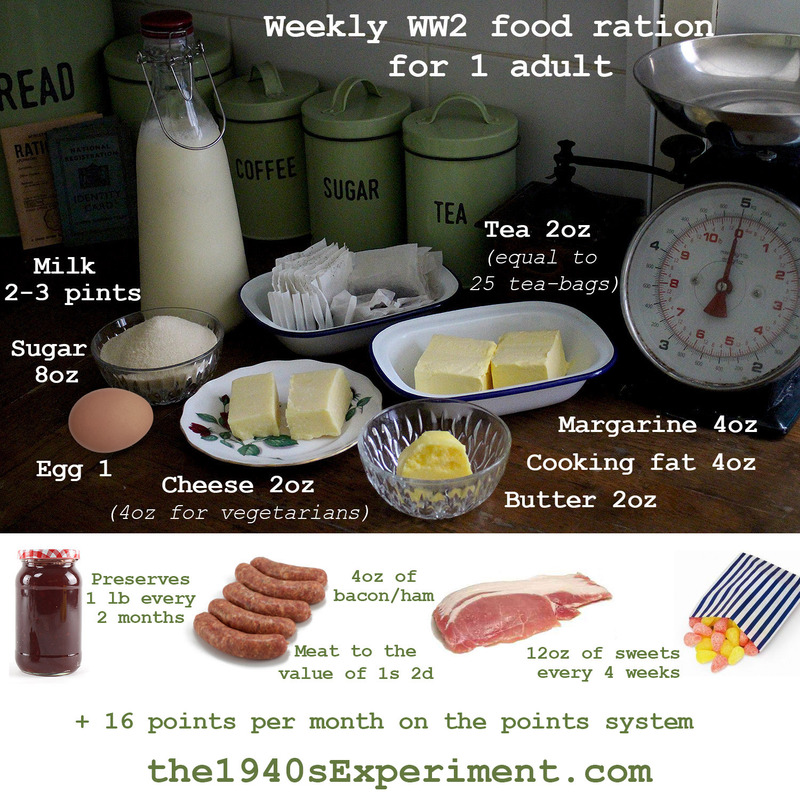 Throughout the year I’m going to focus on not only simple recipes from the wartime era during rationing but also the modern costs of eating simply and healthily. In addition I am going to post my monthly household expenditure budget so you can see how and if I am able to cut costs, how much I can save, what sacrifices have to be made to save money on one income. 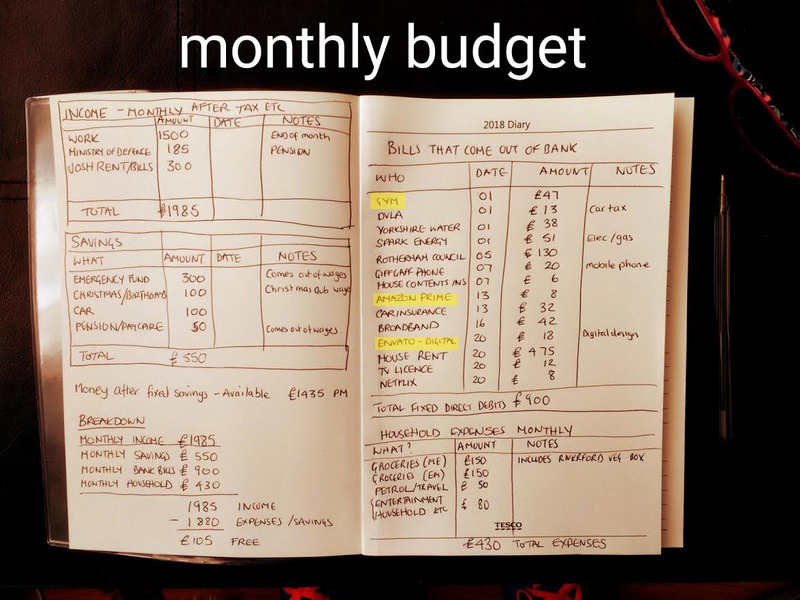 I LOVE reading other peoples blog posts on budgeting and I think this will personally hold me accountable and keep me on the straight and narrow. There will be things I absolutely will not compromise on to save pennies and that will be my weekly organic vegetable box from www.riverford.co.uk – to me this gives me joy and ensures I have a good supply of healthy food waiting for me in the house. I hope you’ll join with me and we can work together on this and support each other. Life is often a struggle. In many ways I am ashamed of being almost 52 with no real emergency fund, no contingency plan, and for only just getting by in life in my past. But then I look back and realize all I could really do was strive to get by and just do the best I could. I want to change this now. I want 2018 to be the year I begin to FINALLY feel I am in control of my destiny and feel a sense of achievement. The last couple of months, after a good initial start and very good intentions disintegrated into just letting myself go completely. It’s been the same story over and over all my life. I’m sure it will happen often, it’s never going to stop, it’s just making changes again before I’m back up to the 300’s and working my way down until I get to a healthier place again. Not going to dwell on this. December 27th will be the day I start again…. I’m used to picking myself off the floor. I’ve been in far worse places. I’ve also been planning in different areas of my life for not only a healthier but a prosperous 2018. I’ll post again on New Years eve with my year plan (which has taken the form of several large sheets of notes and crossings out) and I really hope you’ll join me and we can work on our planning and prepping together and share our successes. I just wanted to really send a BIG hug and lots of love to everyone who has stuck by my blog even through my quiet times when I need to just disappear. I do read all the comments even if I appear to be a little anti-social. It’s more of a case of my life being incredibly busy, getting older, getting fatter and feeling really tired as a consequence. I do a LOT of thinking on a daily basis, deep thinking, going to bed at 7 pm for me is quite normal, I’ll do some research, read people’s life experiences, and then just stare into space and think, maybe for an hour, maybe more…. and then it’s 9 pm and time for lights out to try and get near 8 hrs of sleep. I’ve been questioning what makes me happy…. This year, especially the later half at work has made me happy. I feed off people, I love their mannerisms, their quirks, their emotions, I love it when people smile and laugh and people never cease to amaze me. We are so complex, so good, so bad, so utterly unique, each and every one of us. I’ve been pondering how time never stands still now, I feel like once I started to notice that time was moving along rather swiftly, it’s inertia now ensures that it keeps on getting faster and as my mass and age gets larger, the speed of time increases. I am sure there will be a Sir Isacc Newton out there who will come up with an equation that succinctly establishes this thought as reality. Time speeds up, our lives pass by quicker. More reason to fill it with things you love doing if you can. Merry Christmas and much love and happiness.